Her response to the question ended with a girlish giggle and a slightly embarrassed grin. “But now I have one,” Alice (pictured above) concluded with her chin slightly higher. Because Liberia battled through two civil wars over more than a decade, many children missed school and the few classes they could attend lacked proper supplies and teachers. The breach from normalcy also left a generational gap of qualified teachers to pick-up the pieces when the guns finally stopped firing. Today, many adolescent girls and young women lack the skills to support themselves so they fall back on the commodity they do have — their bodies. I for one believe in jobs as one of the best forms of sustainable development. EPAG IS doing just that by teaching job skills and business skills to nearly 3,500 young women between the ages of 16 to 24. 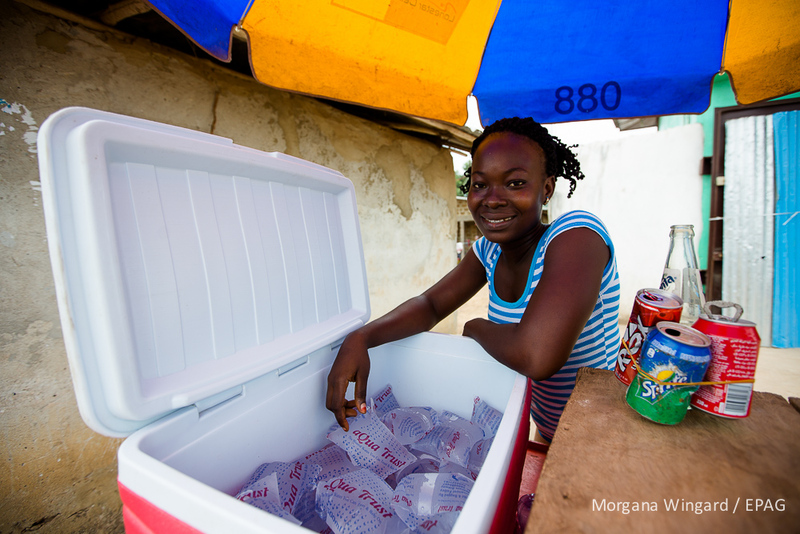 Graduates from their classes acquire jobs at local restaurants and hotels or start their own businesses like selling fish, opening cool water stands, or building daycare centers for their community. Employment in participants has increased 47 percent and average weekly earnings have increased by 80 percent.